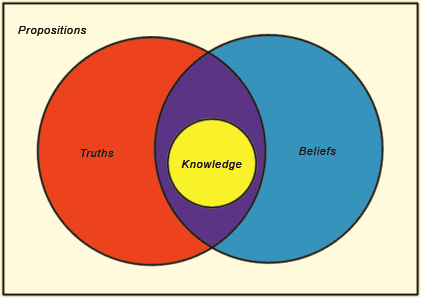 Epistemology Introduction, Part 1 and *Part 2 by Paul Newall at the Galilean Library. Marjorie Clay (ed. ), Teaching Theory of Knowledge, The Council for Philosophical Studies, 1986. Boufoy-Bastick, Z. (2005). Introducing 'Applicable Knowledge' as a Challenge to the Attainment of Absolute Knowledge. Sophia Journal of Philosophy, 8, 39-51. Is Justified True Belief Knowledge? from Analysis, Vol. 23, pp. 121-23 (1963) by Edmund L. Gettier, transcribed by Andrew Chrucky (Sept. 13, 1997). Richard Kirkham, "Does the Gettier Problem Rest on a Mistake?" Mind, 93, 1984.